Once upon a time, there was a game company that seemed to do no wrong. They were new, with fresh innovative ideas, and wow were they original. The games they produced were fantastic. They were not ashamed to break the mold, from their signature square boxes that looked like record sleeves, to their support for game developers that swam against the flow of the norm. They had heavy production value on not only the game, but on the intros as well, telling the gamer its not going to be just a game, but a production. Believe it or not, this company was Electronic Arts. Its has a checker board black and white squares, its turn based strategy, and has pieces with unique moves and abilities, has a fantasy/medieval theme. But this game is not chess. This becomes apparent the moment you move to an opponents square. 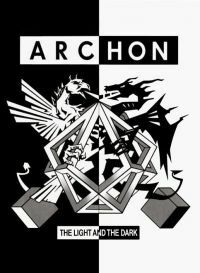 Unlike chess where you simply remove the piece, Archon switches to an interactive board where the two pieces now have to duke it out for survival, very similar to Star Control or that scene in Star Wars on the Falcon. The idea is you must weigh the abilities of your piece vs the opponents while determining if the spot you are trying to take is worth the risk. This game did a terrific job merging the old school board game with modern arcade gameplay. Mule (Multiple Use Labor Element) is an up to 4 player economy simulator. Try selling that in today's market. Sounds horrible just typing it! But this is where brilliant execution and design wins the day. Its built with a sci-fi theme, where you are colonizing a planet called Irata (Atari backward). The Races you can select all have pros and cons, while all charming in their own way. The game goes through cycled turns, with random events, bartering, and ultimately an end game based on turn cap. This game introduce the idea that you could form alliances to gang up on another player, then break terms the next round, all without shooting or killing anyone. Money here is the weapon of choice, a life lesson indeed. 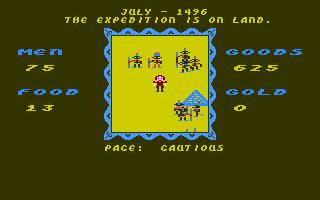 Another colonization game, but unlike MULE, SCoG examines the historical days of Spanish colonizing of the new world Americas (or random gen map). Economics, man power, Fort building, seasons, fog of war, and supply management are all in play. Keep in mind, this was seven years before the Civ series! Like history you could make friends or lay waste to the natives. What makes this game great, is how it twists the player from starting as a fun loving free spirit explorer, then digs into the darkest parts of humanity, by slowly turning the player into a monster all in the name of survival. Another life lesson leaned. History will repeat itself. Looking back, EA did a lot for edutainment without actually marketing it as such. As for the intro music, its was some of the best. For more about the Golden Age of EA, I highly recommend reading this article from DotEaters.